How do you improve on something already as great as Fantastic Beasts & Where to Find Them? More beasts. More Johnny Depp. More white face paint. 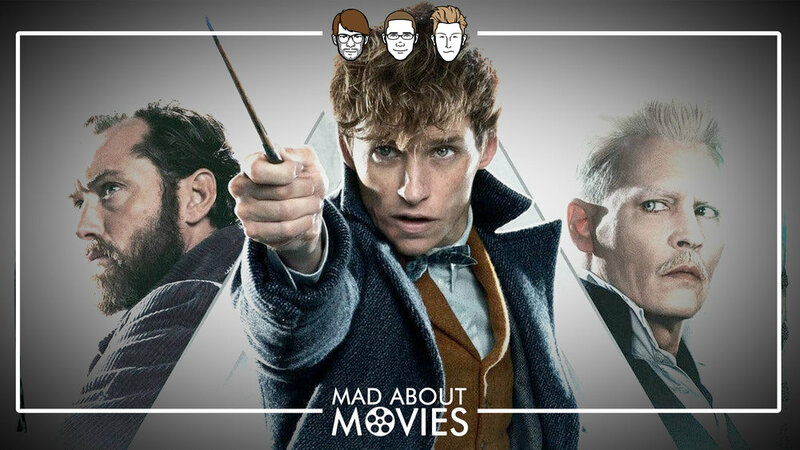 We’re diving in to all things ‘Harry Potter’ ‘Fantastic Beasts’ and beyond along in our review and bringing you a preview of our side show ‘Cryercast’ to talk some very important casting news involving Jon Cryer. HELLOOoooOOOooooOO! Time to throw it back to a comedy gem from the 90's that cemented Robin Williams as one of the best comedy actors, and actresses, of his generation. We're reminiscing on Mrs. Doubtfire and discussing how it holds up 25 years later in this week's VIP exclusive episode! Join the VIP for $4 a month for this and more MAM goodness every week! We’re finally taking ‘Bohemian Rhapsody’ and all things Queen as we discuss the Freddie Mercury biopic for nearly an hour as well as bring you a fresh batch of Movie News, Weekly Recommends and a very special announcement regarding the future of MAM! Suriprise! Another bonus review for you before we dive into ‘Bohemain Rhapsody.’ We’re talking all things David Lowery, reminiscing on Robert Redford and more with Kent and Brian! Brace yourselves, MAMfam! Time to dive into our annual Rants & Raves edition of the show is here as we go as deep as we can into this year's crop of TV pilots, but mainly just Manifest. Of course they’re doing a sequel to Halloween 40 years later, right? And of course it’s brought to us by Kenny Powers, right? Join us as we look back at the Halloween ‘78 as we dive into Halloween ‘18 and find out how Brian’s sleep pattern has been affected by it. Grab your space goo and bring your Tom Hardy translators! In a second-helping of MAM for the week, we're breaking down box office hit (for some reason) Venom (for some reason). We're talking all things 'First Man' on this episode as we dive into Damien Chazelle's newest film about NASA, Neil Armstrong, and so much more. 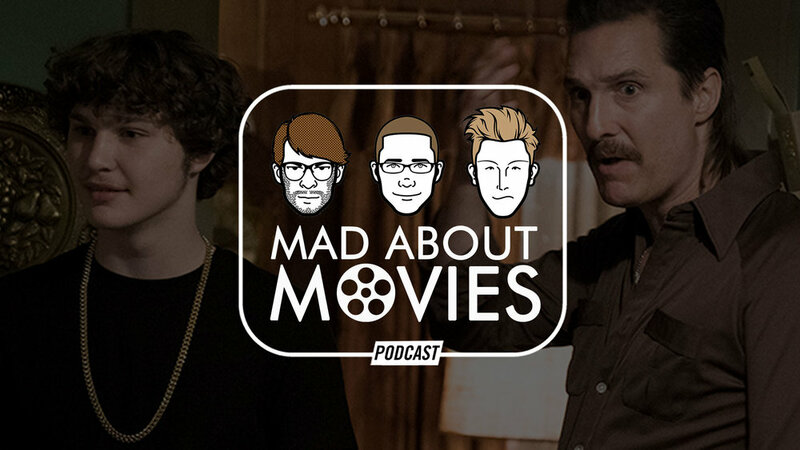 Become a MAM VIP and get all of our bonus episodes for as little as $1 a week! Grab your tissues because this week’s episode of MAM will make you weep with emotion. Listen, we aren’t that jazzed about ‘Suicide Squad 2’ either but we can’t fault anyone for crying about it. Join us for a brief Movie News catch-up before we stage dive (eh?) into ‘A Star is Born’ talk! Woo! It’s our final episode of September before we start seeing movies we somewhat care about again! Join us as we catch up on some Star Wars and X-Men news and review Richard’s biopic, White Boy Rick! Before Bradley Cooper and Lady Gaga give us their version, Brian and Richard throw it back one of the 8 OG versions of A Star is Born exclusively in the MAM VIP! We’re talking ‘A Simple Favor’ this week as we debate how to pronounce Paul Feig’s name for 30 minutes, but not before we get a full DC Extended Universe State of the Union address from Batman Shane! VIP EPISODE ALERT! A longtime request of Richards is finally getting a dedicated episode. Is Mask of Zorro one of the most underrated movies of our time? Worthy or a reboot? Waste of everyone's time? Hear what he and Brian thought while I probably watched re-runs of Space Ghost.